For any bring-your-own-device critics that still believe using the company computers is the only way to do business, listen up. The last institution on Earth you expected to indulge in cellphone use is singing a different tune. Middle schools across Howard County are encouraging preteens to bring their cellphones, tablets and laptops to class after finding a number of benefits during high school pilot programs, according to The Baltimore Sun. "Overall, teachers and students indicated a number of benefits associated with BYOD, increased student independence/autonomy, increased student engagement, and the ability of BYOD to facilitate student communication and collaboration," school system spokesperson Rebecca Amani-Dove told the news source. That's right. The same professionals that may have given you detention for chewing gum or forgetting to turn your mobile to vibrate are starting to switch their thinking about the same devices young students use for "Angry Birds" and "Candy Crush." "70% of companies believe BYOD improves the workplace." For a lot of pioneering business people, this doesn't signify much change. After all, Cisco has stated that some 90 percent of all Americans already use their smartphones for work. A global survey of tech leaders distributed by Dell showed that 70 percent of companies believe BYOD improves the workplace and 59 percent believe they would be at a competitive disadvantage without BYOD, according to CIO. For all but the most staunch of IT security skeptics and old school business advocates, BYOD has become something of an inevitability in the workplace. Even for those with security concerns - as there should be while implementing any BYOD policy - many professionals concede that security issues require progressive solutions instead of doing away with BYOD altogether. "When we looked across our worldwide customer base, we discovered that when organizations took a similar user-centric BYOD approach, they were able to reap the greatest and most immediate rewards while experiencing the fewest setbacks," Carol Fawcett, chief information officer of Dell Software, told CIO. "These companies used BYOD as a strategic competitive advantage and also were able to resolve some of the biggest BYOD problems, including security, access rights and data leakage." For everyone else, schools may be the last uncharted territory moving toward BYOD practice. At the end of the day, what group would be the most likely to succumb to lapses in productivity with a smartphone or tablet in hand if not for middle school children? Now that even educators are finding the value in the devices, there's no reason a few professional late adopters will think differently as well. 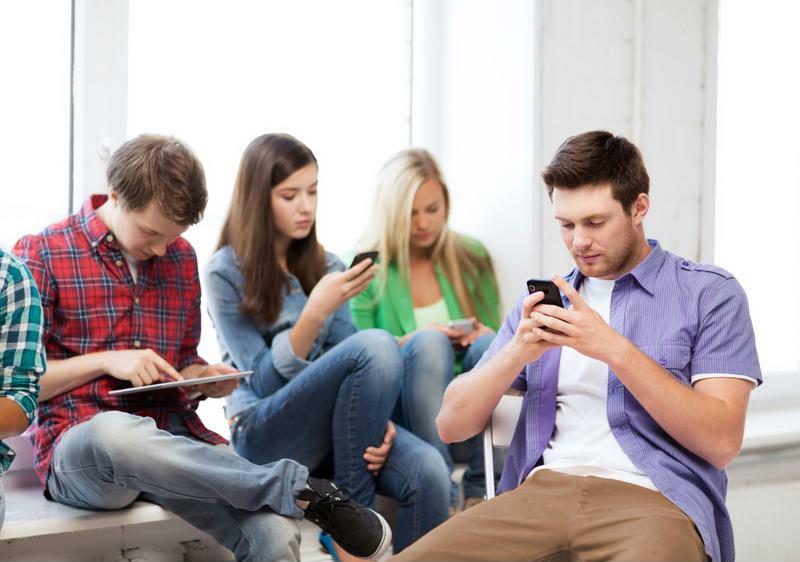 For the younger generation, smartphones aren't being used solely to tune out. Moreover, this could signify a broader step in a modern direction. Even for some millennials, incorporating new age gadgets into workflow is a struggle. As more schools encourage students to know their devices inside and out and use them for studying and projects, one might predict that BYOD in the workplace could become a more seamless process. Howard County isn't exactly the first school system - even in Maryland alone - to incorporate BYOD into the classroom. Fairfax, Prince William, and Montgomery counties already made the move in 2014, according to The Washington Post. Expect other school districts in the surrounding areas and beyond to follow suit.